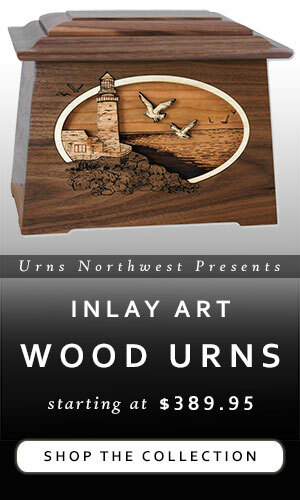 We now offer a selection of beautiful wood funeral urns deisgned to fit into a columbarium niche. 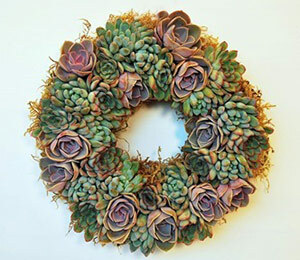 These niches are known by a variety of terms – mausoleum niche, columbarium vault, funeral home niche, etc. 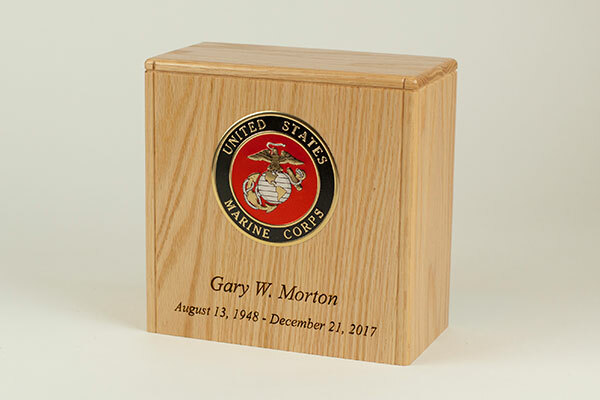 Generally these are compartments meant to hold cremated remains in a wall at a funeral home, cemetery, columbarium, or mausoleum. The size of the niche might vary a little depending on how much you are willing to pay, but generally they stay fairly small. For instance, at Arlington National Cemetery, they require that the funeral urns going into the niche must measure less than nine inches high, wide, and deep. This is typical of the spacial limitations for columbarium niches – the niche you purchase may be a little larger, or a fraction smaller, but it should be pretty close. 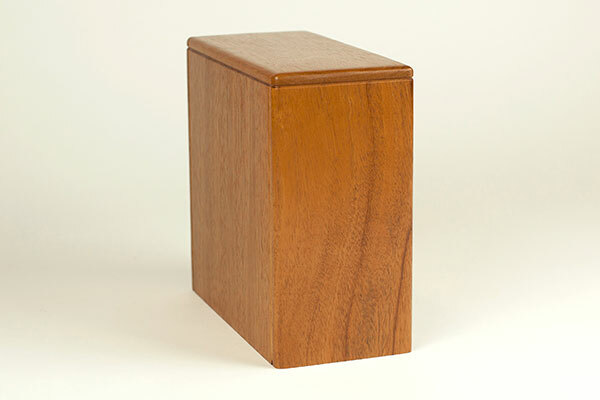 You may find difficulty getting an urn online that will fit into the required dimensions. 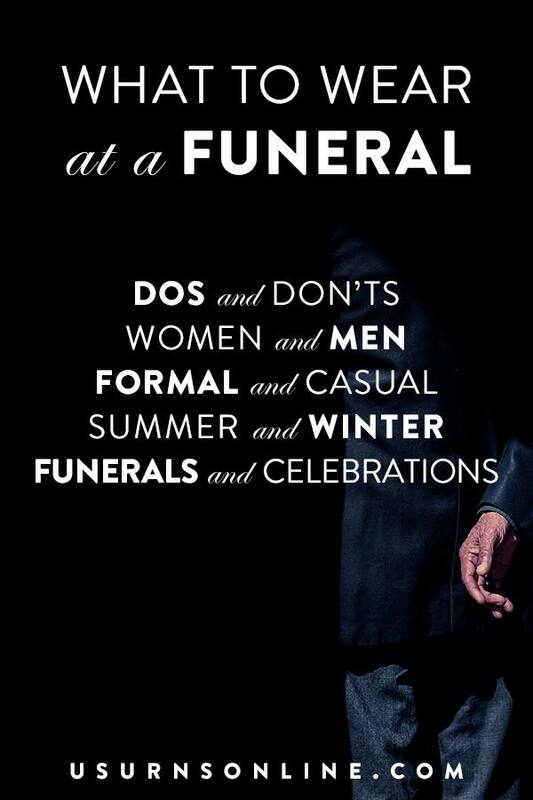 Of course, the funeral home will probably have urns that fit, but you may not like the design or the price point. 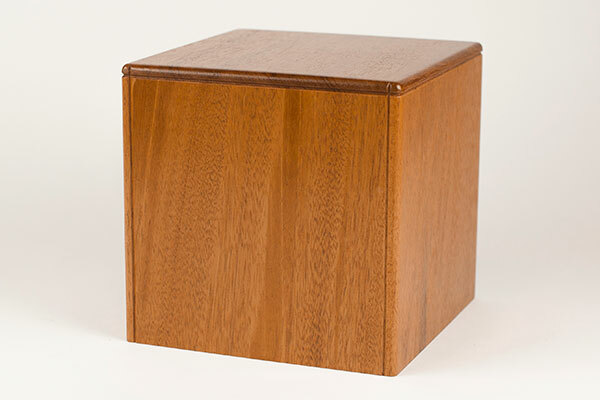 That is why we have created this selection of wood funeral urns designed to fit into a standard niche space. Let’s take a look. 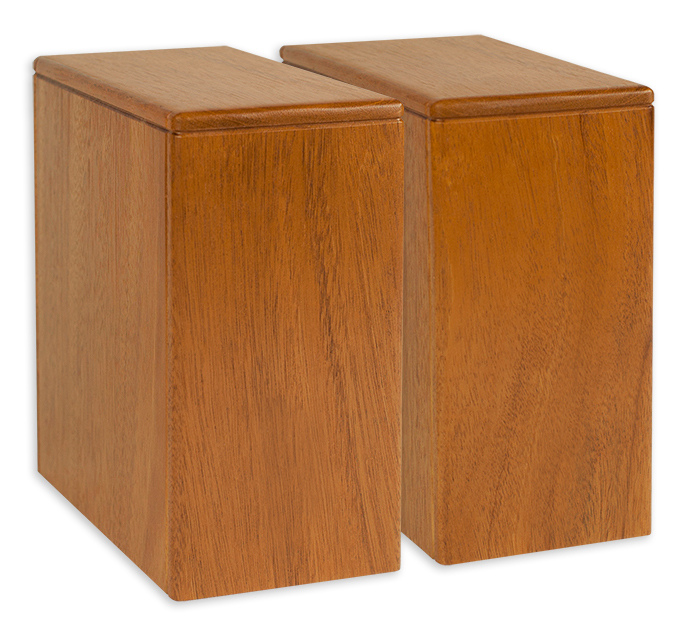 These wooden niche urns come in two sizes, three wood types, and with two personalization options. Watch the video above for a brief product demonstration, and read on for more information and some additional photos. 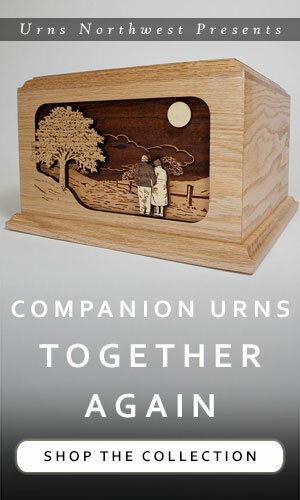 Two niche urns, which will allow a couple to keep their remains together in the niche. Shown in Mahogany wood. To order or for more information see here.